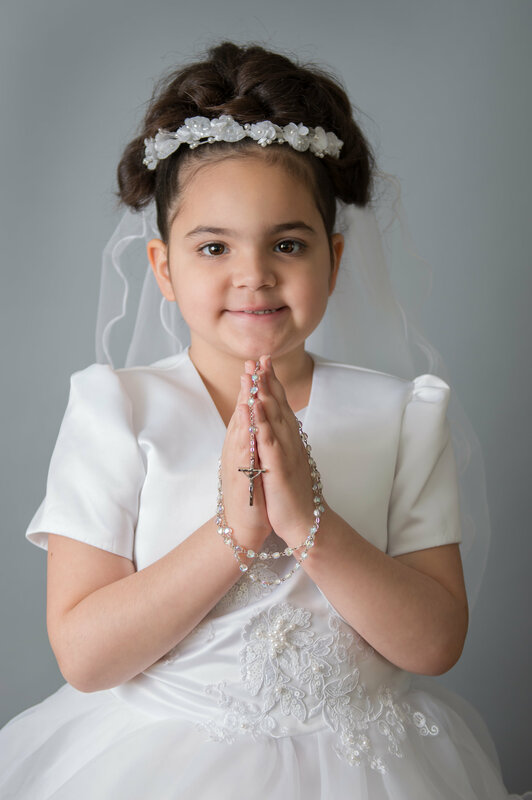 Isabella recently celebrated her First Holy Communion, if you are Christian or Catholic then you understand the importance of this celebration. Honestly though, as a parent you can go pretty crazy with the whole planning and preparing for this major event. It is important to remember the real meaning behind this celebration while still having fun. 1. Remember the real reason for this celebration. There may be times where you may lose sight of the real meaning behind this celebration. If you are opting for your child to receive this sacrament then you should probably make sure they have some sort of understanding of why they are doing it and why it is so important. You can’t rely solely on their religious education, you have to be apart of it. Also don’t let the glamour and possible family drama influence ANYTHING! It shouldn’t be stressful! There should be no Bridezillas, everything will fall into place. Relax and take a deep breath, as you get ready to undertake this celebration. 2.Get the date for the Communion and start planning immediately. This is something that we were a little to lax about. It has been a tough year for our family with the loss of my grandmother, the kids great grandmother. 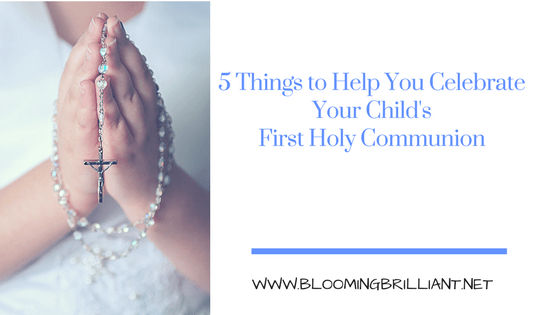 I have dropped the ball in some areas but either way when you get the date for your child’s communion start planning, if you haven’t started already. If you plan to have a party at a restaurant or hall then book that thing asap because this is the most popular season and if you wait too long you won’t get what you want. You are probably going to want to have a photo of your child all dressed up for the occasion, so do take some time and hire a professional photographer for some portraits or even better hire them to take photos during the event so you don’t have to worry about trying to capture all those moments. We didn’t hire a photographer for the event, didn’t think to but then I saw that a bunch of parents did so it is something to consider.We hired a great photographer in our area. If you live in Brooklyn, New York than you can check her out here. 4. Get the outfit and accessories. I am not sure how difficult it is to get boys their suits (I will in a few years though) but for some reason it was pretty difficult to get a dress. I was not comfortable with spending a small fortune on a dress that would be so over the top it would take away from the actual event. Luckily after shopping around we found the perfect one. This tip is just a reminder to start looking early. Also did you know, those little prayer books and rosary beads we got as children aren’t provided through the church anymore? At least ours wasn’t. We ended up ordering Isabella a purse and prayer book set from Autom, they are affordable, great quality and really beautiful. This is a special time for your child and your family so make sure you are present and enjoy it! These are just some tips from my experience this past year and planning out my daughters communion. I never experienced it before and I wished I had done a couple of things differently, like relax. Overall it was an amazing day and time. I can’t believe my little girl is growing up so fast. 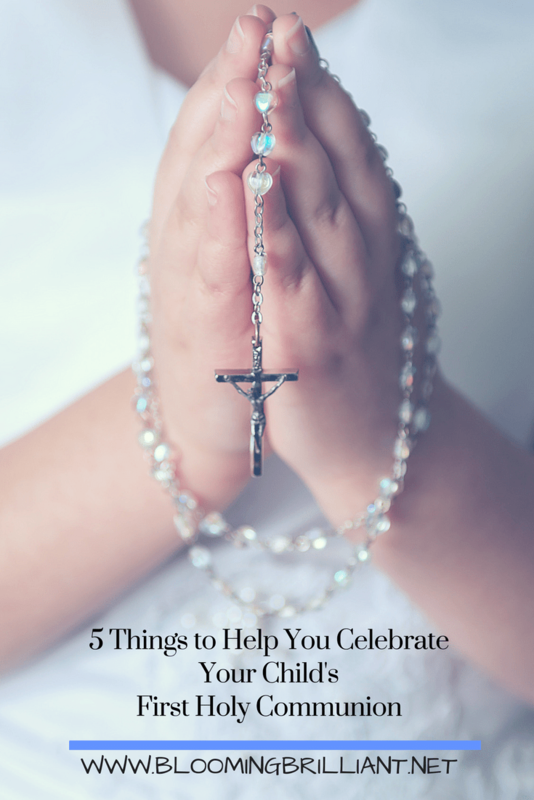 Do you have any tips for celebrating your child’s First Holy Communion? Did you find any of these tips helpful? Let us know in the comments below.